There was some late frustration for the hosts as they lost Mertens to a serious-looking shoulder injury in a match that saw Marek Hamsik become the club’s all-time appearance leader. 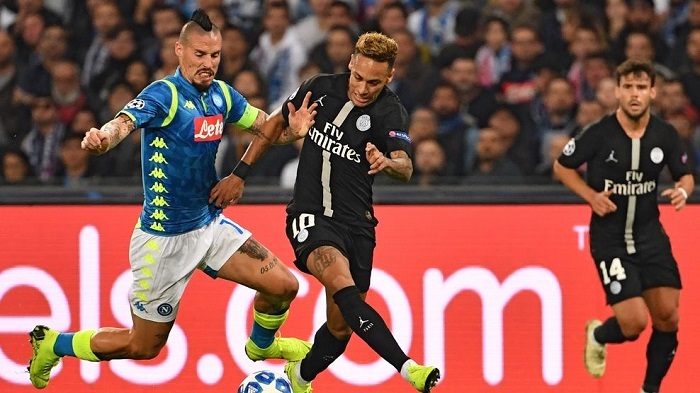 Accusations of a soft centre have long been levelled at PSG and, though they clung on here for a handy point, their inability to see through a period of pressure will only heighten the focus on the team’s character. He was frustrated in his attempts to get on the scoresheet, but attacker Callejon deserves plenty of credit for pouncing on Silva’s error as the most important moment of a consistently dangerous display.